Eli Manning has not been told whether Super Bowl 50 will be his brother’s final NFL game, but like just about everyone else, he thinks it’s a very good possibility. Super Bowl 50: Who has the edge? 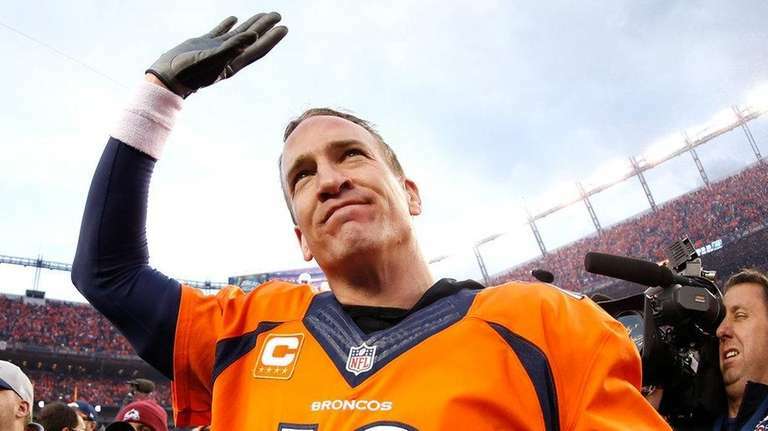 Peyton Manning, 39, is the oldest starting quarterback in Super Bowl history. And while he has won only one Lombardi Trophy in his three previous games, Eli Manning, who has won two Super Bowls, said that is not the measure of his big brother. Eli Manning even said he has never given Peyton any grief over having one more championship than him. Eli Manning said he will help Peyton however he can. He’s already shared some thoughts from the Giants’ Dec. 20 game against the Panthers, and he’ll be around to help with outside matters such as tickets and other family arrangements. Eli Manning was already going to be there as the NFL celebrates all 50 Super Bowl MVPs — and as a finalist for the Walter Payton NFL Man of the Year Award — but now he said his entire family will be in attendance. Perhaps to see Peyton’s final game.